New Hampshire Residents – Save Money on Your Electric Bills by Going Solar! Lock in federal rebates while available – Solar panel tax credit drops from 30% in 2019 to 26% in 2020, meaning NOW is the best time to get solar for the maximum financial return on investment. Simple, reliable, efficient – Solar panels provide clean, trouble-free electricity for up to 50 years. Build a better future – Support future generations by going solar. A home solar panel system saves on average 7,000 lbs of carbon pollution each year. Curious about solar? Let’s talk! Absolutely no obligation, no pushy salespeople, just high-quality information on whether your home/business is right for solar, and what the next steps would be. Why Solar for Your Home? Solar electric systems have no moving parts and come with a 25-year warranty (expected lifespan of 40-50 years), which means you can lock in your electricity rate for decades. Solar energy is a reliable, renewable resource. Simply stated – anytime that the sun shines, you generate clean, renewable electricity. Solar is one of the few investments you can make today that will not only pay for itself but also result in a cleaner environment for all of us. Founded in 2003, ReVision Energy has installed over 7,000 solar energy systems in New Hampshire, Maine, Vermont, and Massachusetts. We are a 100% Employee-Owned full-service company with in-house engineers, highly-qualified and experienced solar installers, and a dedicated support team with 24/7 emergency service. 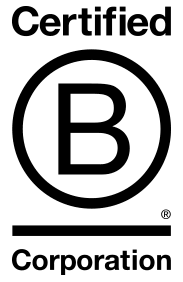 Our company is a Certified B-Corp, meaning we have made a commitment to be the best business FOR the planet not just the best business ON the planet. We donate thousands of dollars worth of volunteer time and equipment annually to local area nonprofits. We were also rated #1 Rooftop Solar Installer in New England from Solar Power World, for the second year running! We love the system! All my questions about the pros and cons of the different installations were answered thoroughly and I was given enough information to make the decision easily. The installers were intelligent, confident, polite and conscientious. They left no mess behind and were fun to have around. The shelves in my cellarway needed to be cleared off and taken down to get the water tank down the stairs. They not only did this, they put them back up before they left and put everything that was on them back onto them — I was kind of surprised, really, it seems like most folks tend to forget things like this. I also appreciate that they were patient with my two old hounds who managed to get underfoot more than once. ReVision is a local solar installer with over 7,000 different projects installed in Northern New England.